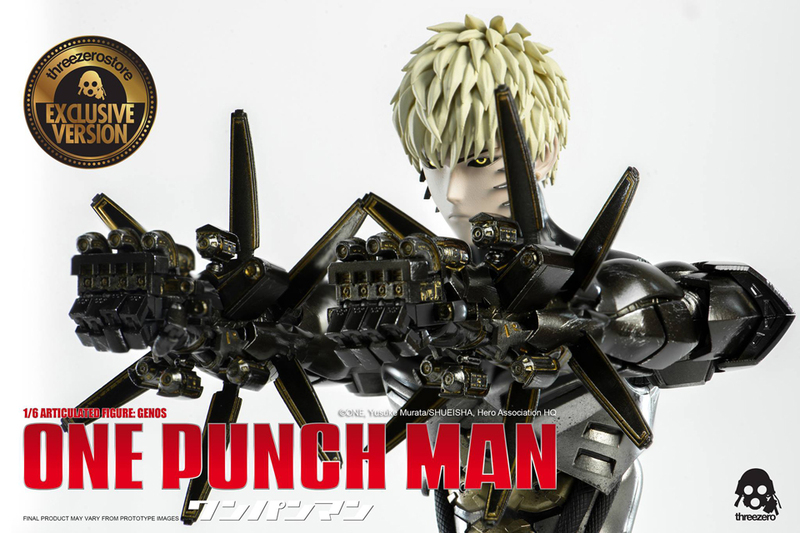 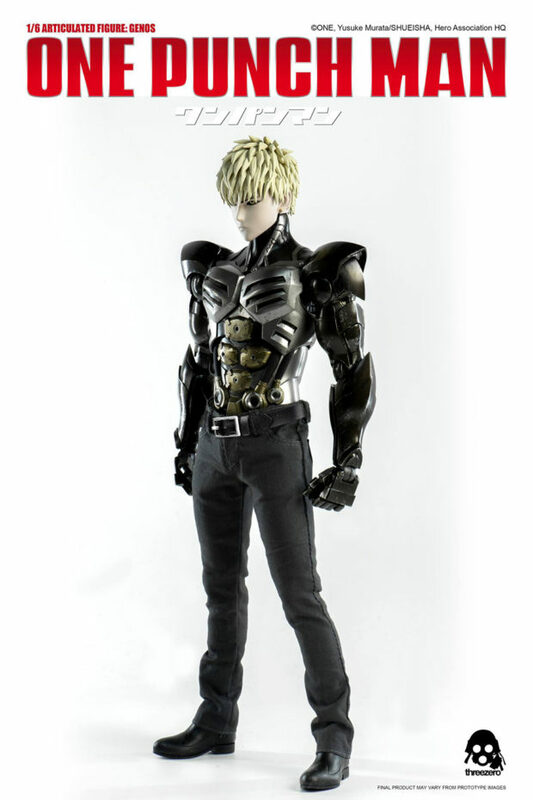 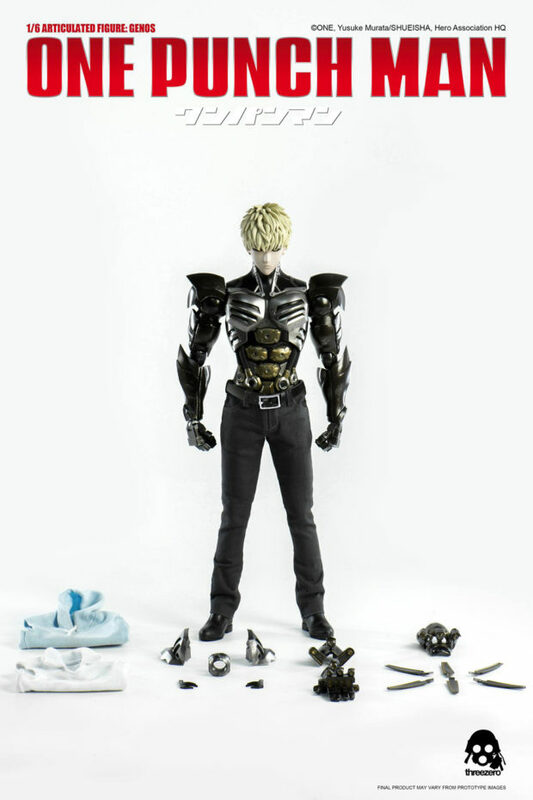 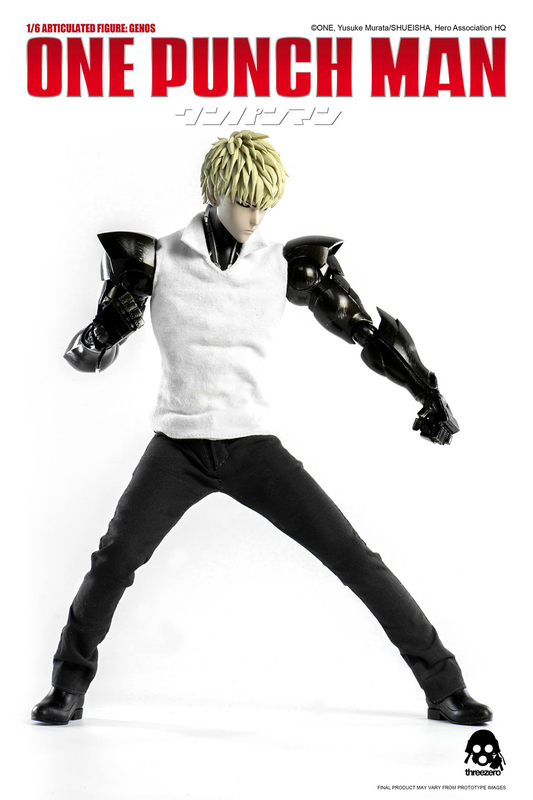 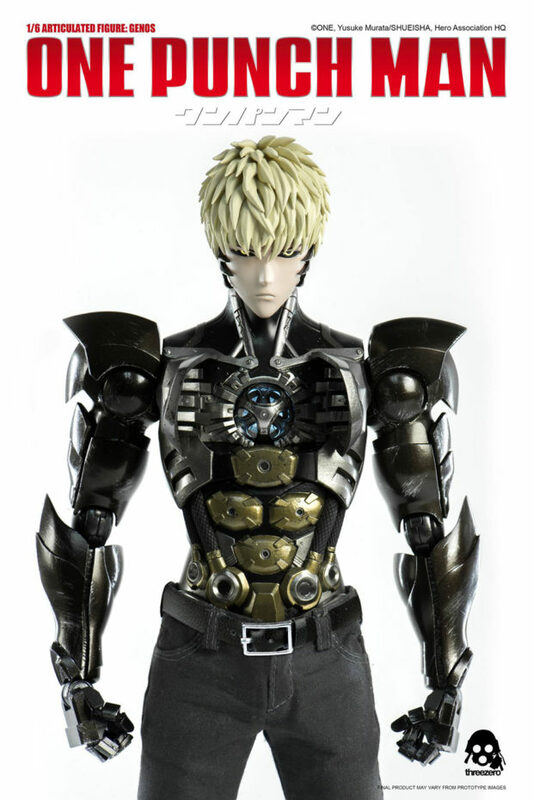 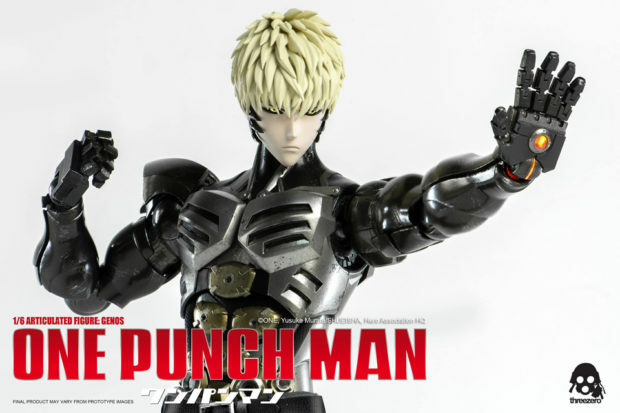 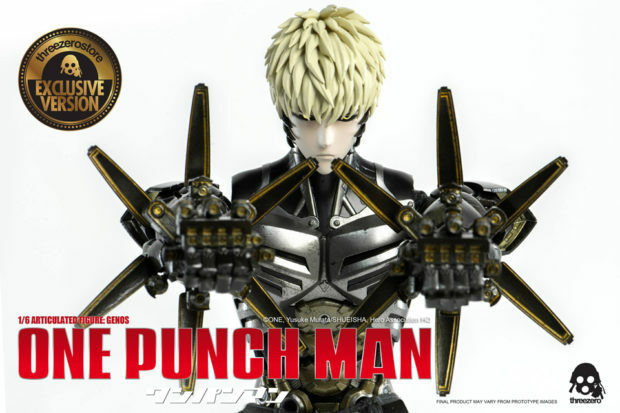 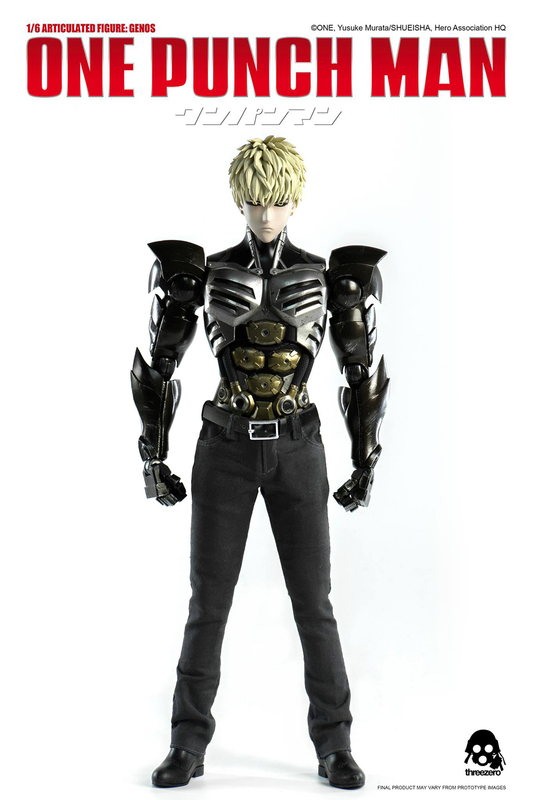 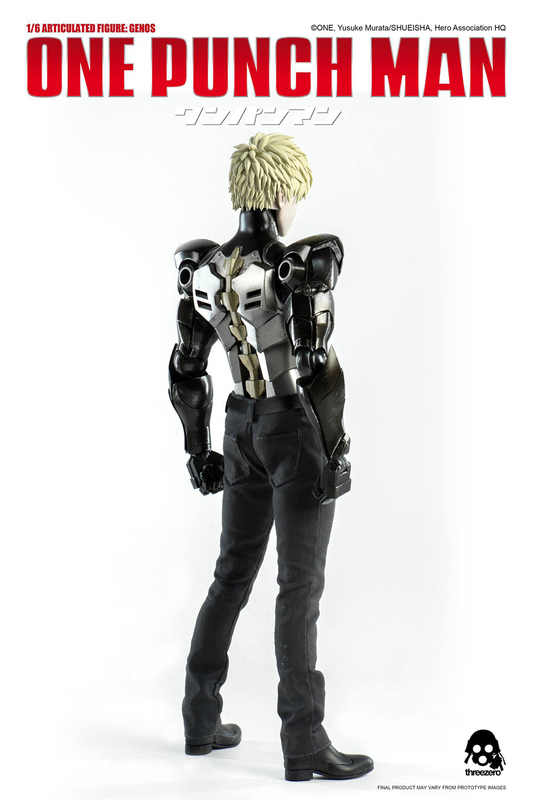 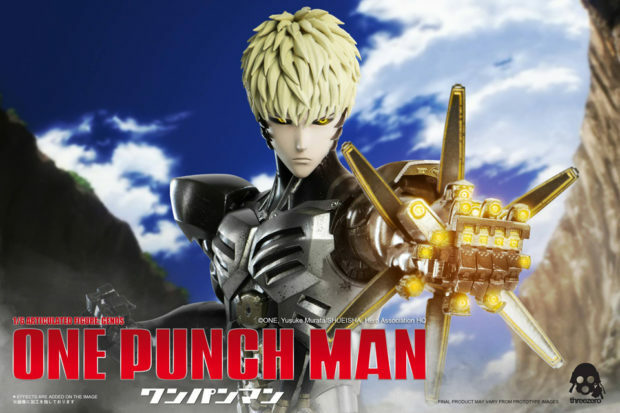 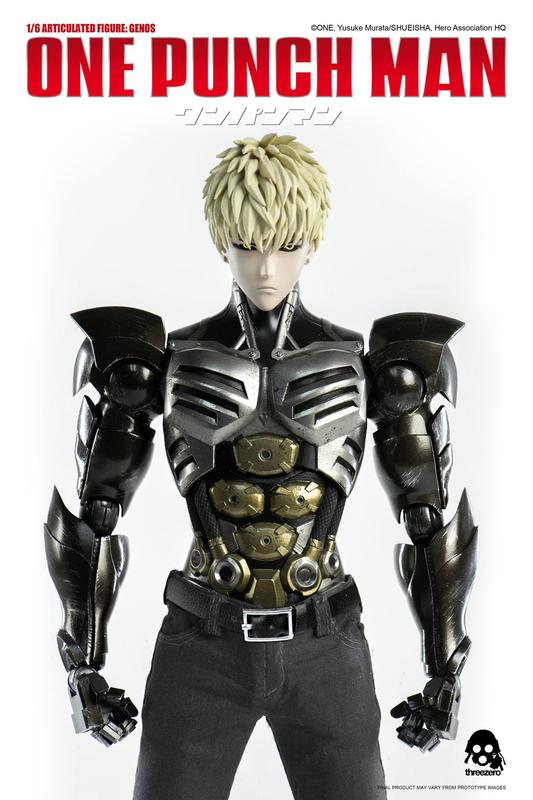 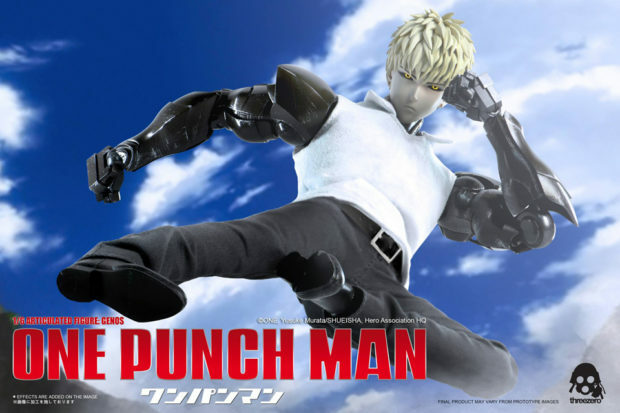 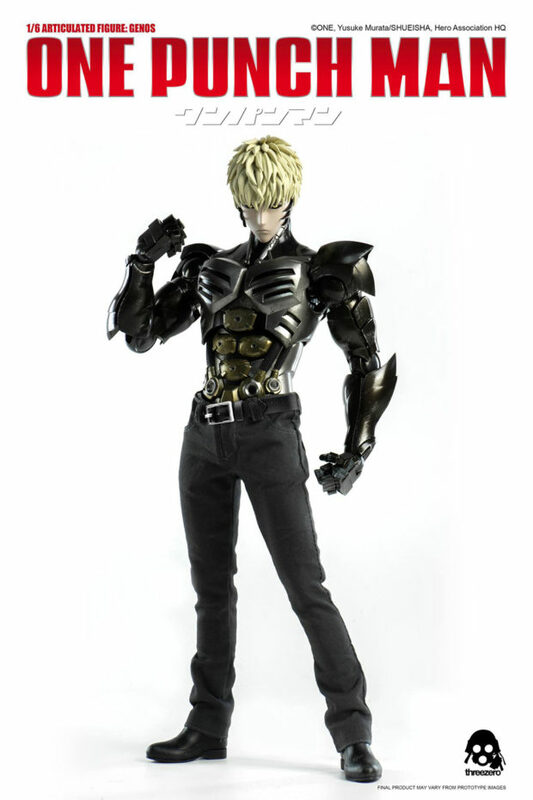 Threezero follows up its sixth scale action figure of One Punch Man‘s titular hero with a figure of the extremely loyal cyborg sidekick Genos. 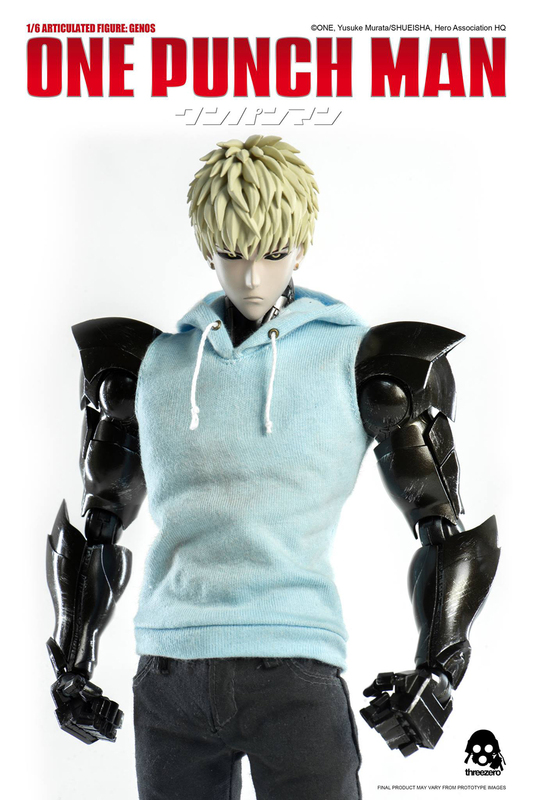 The figure’s standard version costs $190 (USD) and comes with a sleeveless shirt, a sleeveless hoodie, removable face accents, a detachable magnetic chest piece that has a removable light-up core, and an extra left arm in incineration cannon mode. In addition to the core, the figure’s eyes and left arms also light up. 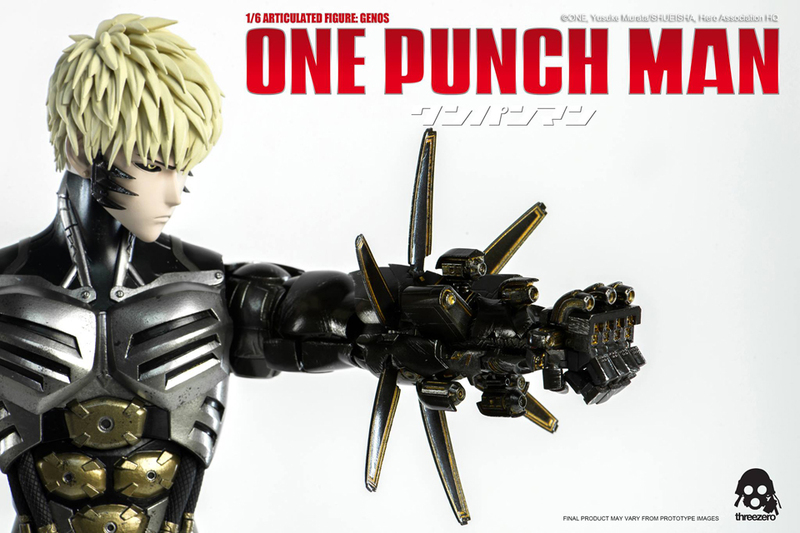 The $210 exclusive version on the other hand has both extra left and right arms in incineration cannon mode, and I’m assuming both extra arms have light up parts. Along with the Genos figure’s pre-order Threezero is also making the exclusive version of the Saitama figure available for pre-order one last time, but only until March 20. 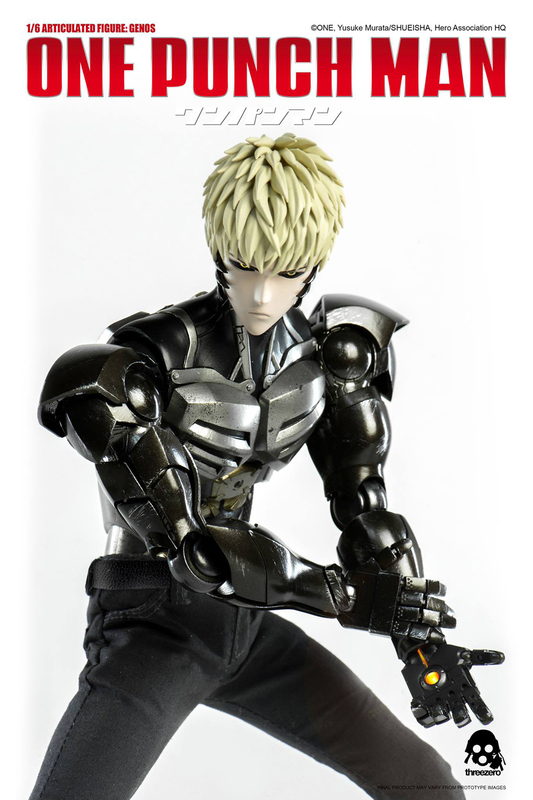 Honestly I’m disappointed with the Genos figure because it doesn’t have an element of humor in it. 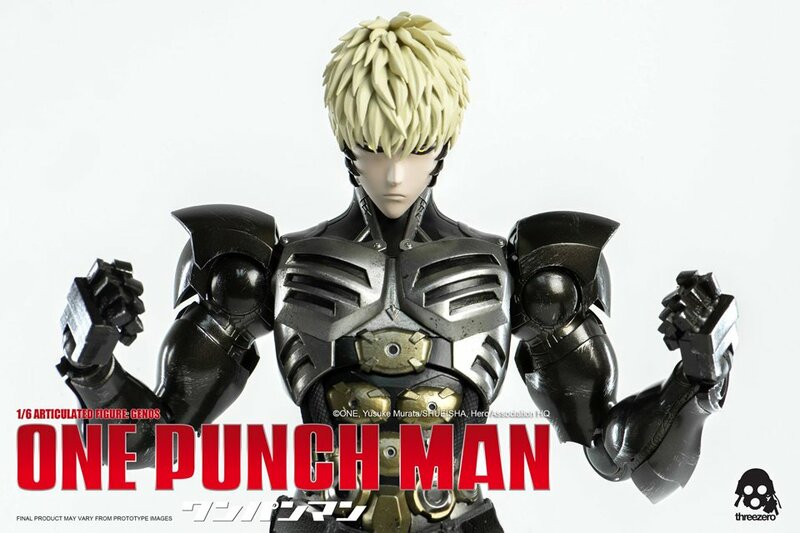 I wish they included his burnt afro hair as an extra head sculpt, or at least his apron and broom. 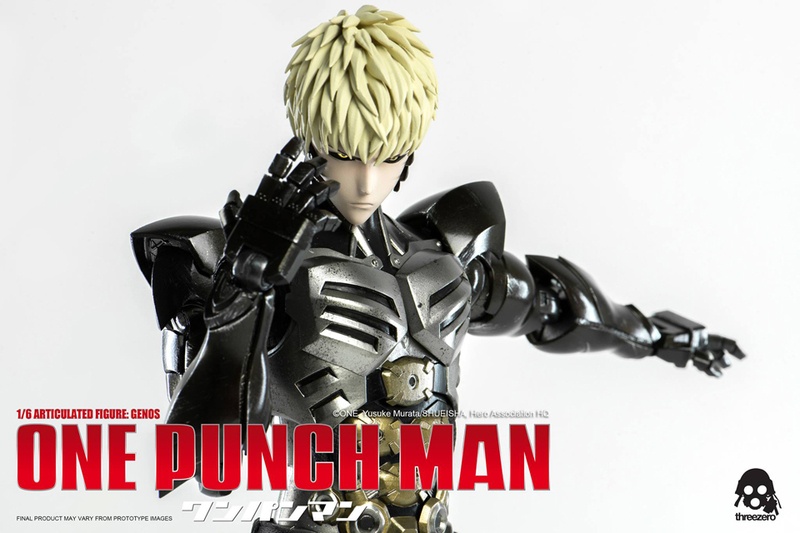 Overall though this is still a great collectible for One Punch Man fans.